World's third largest luxury car maker BMW India, on Thursday, launched a souped-up version of its premium sports activity car X6 coupe for Rs 1.15 crore ex-showroom, national. 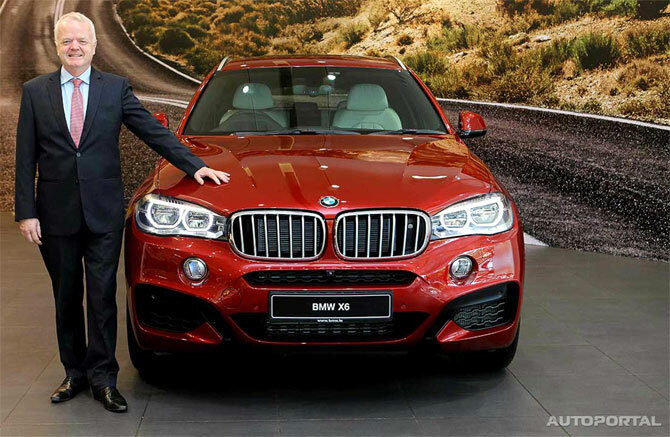 The 6-liter, 8-speed machine is the second generation of the X6 Series and is being sold as a completely built unit and will be available for sale across the BMW showrooms from today, BMW India Group president Philipp von Sahr told reporters in Bengaluru. He said the X6 coupe is the only sports activity coupe in the world, adding "BMW established the sports activity coupe segment with the introduction of X6 series." Launching the high-end version, Sahr said, "Luxury has always been written with an X. To the very last detail, the new X6 offers a unique synthesis of luxury, sporting dynamics and powerful style creating an excitingly different driving experience for our customers. "The car sports a 313 hp diesel engine and attain the top speed of 240 kmph in 4.8 seconds and can easily speed through both on-road and off-road conditions," he added. The superior handling characteristics and thrilling driving dynamics bends the laws of physics, instantly propelling this exceptional vehicle to its rightful position as the king of the road, Sahr said. A coupe car offers the motorist the combined experience of a sports SUV as well as the comfort of a luxe sedan, he added. Sahr reiterated his company's plan to launch 10 more models this year having already launched five and take the number of dealers to 50 from 39 now. But he refused to put a number to sales target or market share. 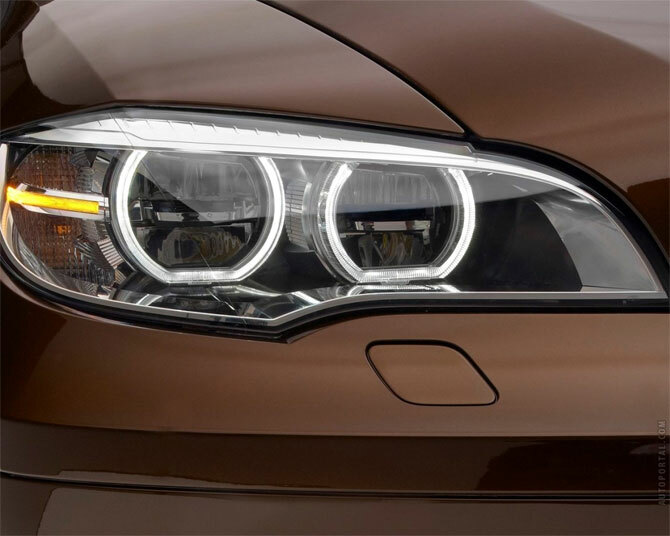 The car also offers a comprehensive range of BMW ConnectedDrive features with numerous optional driver assistance systems, pioneering infotainment and unique connectivity. The larger size, assertive changes and carefully crafted front facade make the outer semblance look robust. Cabin has been restyled, the plush upholstery, uber premium material used inside and a string of advanced gizmos up the comfort quotient inside. 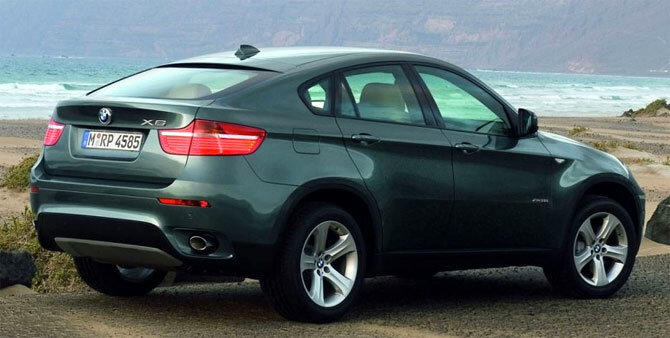 BMW has sprung just xDrive40d variant under the model series which gets M package as a standard fare. Although the basic silhouette remains intact, yet the car now appears larger and more assertive. Roof lines flowing on the large bonnet bring prominence its outer semblance. The front has been tweaked thoroughly which gets newly designed head lights flanking the restyled radiator grille. Fog lights are incorporated on the front bumper which is positioned relatively higher. Air vents with chrome garnishing appear modish. Other than these, the bumper also gets faux skid plate enhancing the sporty flair of the car. The multi-spoke 19 incher alloy wheels are very neat and add to the aggressiveness of the exteriors. The prominent beltline running across the side length accentuate the outer appeal. Body colour matching wing mirrors and door handles merge effortlessly with the rest of the body. Wing mirrors come fitted with integrated LED turn indicators; these can be adjusted and folded electrically. Rear gets stylishly designed tail lamps along with rectangular shaped tail pipes and a tweaked bumper highlighted by black cladding. Slip inside the cabin and the first thing you notice is the elegance that spells all over. 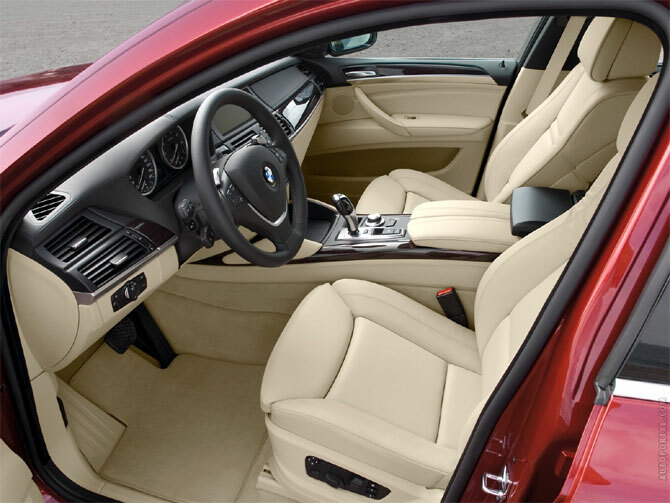 The premium leather upholstery, classic door trims and use of top notch quality materials inside class up the cabin. The new leather covered steering wheel and door sills feature M badge. Gadgets stuffed inside for the comfort of occupants and driver comprise Kardon sound system, BMW’s iDrive connected multimedia system, heads up display, powered tail gate and reverse camera. 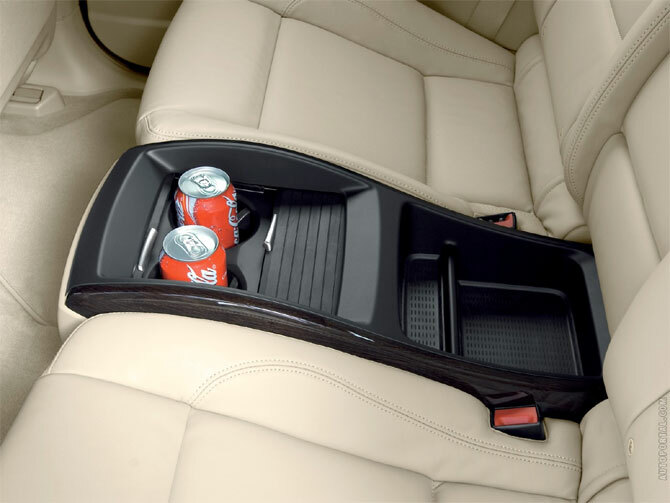 For driver’s comfort, BMW has infused a pair of knee pad which is useful during long drives. Storage place is ample which allows storing useful things. Power comes from a high displacement 3.0 litre, triple turbo, six-cylinder diesel powertrain. The robust engine is good for top power of 381 Bhp along with peak torque of 75.45 kgm. An eight-speed steptronic sport automatic gearbox is paired to the diesel motor. 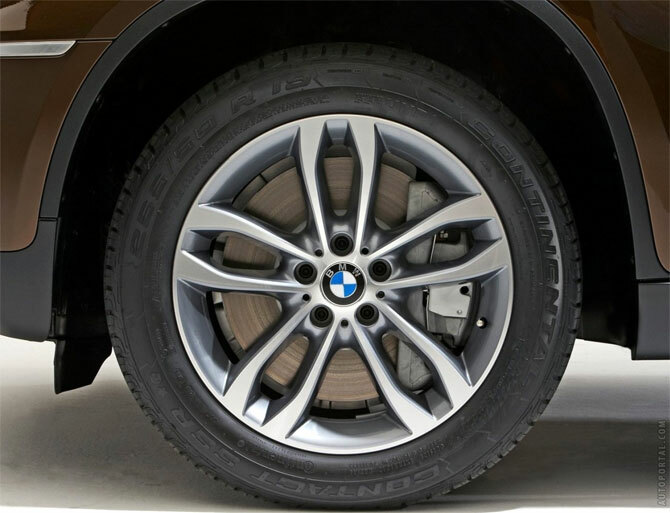 Besides, BMW has also incorporated its xDrive wheel drive system. On the performance front, X6 scores high, the 100 kmph speed from rest is achieved in 5.8 seconds. Top speed on offer is 240 kmph which is not excellent but good enough. For the safety of occupants, BMW has loaded a number of equipments such as six airbags, stability control, traction control, dynamic stability control including dynamic traction control, cornering brake control, side impact protection, engine vehicle immobilizer, crash sensor and hill descent control. Powered by Autoportal.com is a unique attempt to bring together a comprehensive platform to watch, learn and explore about the car industry from the well researched and updated content..